It’s that time of year again, the office Christmas party. A night of laughs, celebrations, dancing and free beverages in a relaxed, out of hours environment. However, how you act on the night can reflect on your position in the company, so it is vital that you are aware of how to not put your career in jeopardy. You wouldn’t believe the amount of horror stories we have heard over the years from managers who have had employees behave in an unacceptable manner during the event, expecting everything to be back to normal after Christmas or candidates who have made silly decisions and cost themselves a job. To help you avoid making the same mistakes, we have put together some simple, but crucial, do’s and don’ts to help ensure you have a job to go back to in the new year. What better opportunity to socialise with colleagues than at a work event? There isn’t one. Get out of your comfort zone and go speak to those you don’t normally get chance to, have a good time with your peers and build or strengthen relationships. Parties are a great opportunity to dress to impress and present yourself positively so dress for the occasion, adhere to the dress code but ensure your outfit is suitable. If your first choice is more catered towards a club or your couch, opt out and find a middle ground. 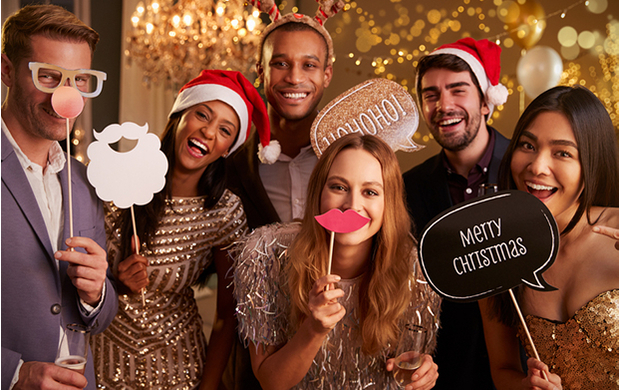 As well as socialising with your colleagues, holiday parties are great for meeting new people and even potential clients. Remember to leave a good first impression as you never know what opportunities you could gain. While unlimited free drinks sounds tempting, it is important you remember not to overdo it. Afterall, your boss is still present and you wouldn’t want to throw away your career over one night of fun. A Christmas party is the perfect opportunity to forget about your personal issues and have a good time. Of course, this isn’t always the case and you may want to discuss your issues, but it is best to do that another time and focus on the here and now. As well as this, it is vital that you do not overshare your opinions on other people or tell colleagues sensitive issues, you wouldn’t want to create an awkward or tense atmosphere. Your boss is out trying to have a good night and socialise, they don’t want to be followed around and feel like they have a leech on their back. Be respectful, make conversation and smile, but don’t take it too far and become a nuisance. If you aren’t paying attention to your alcohol consumption, your inhibitions will be lowered, meaning you could say something out of turn and offend fellow colleagues, potential clients or your bosses. You wouldn’t want to damage any of your relationships or cost yourself a job so keep mindful and aware. If you still feel on edge about your upcoming work Christmas party and want some more advice, please feel free to call us on 0121 222 5599 for an informal discussion or send us an email to info@wrightsolutionsltd.com.